For those experiences skiers amongst you there comes a point where you will feel the urge to spread your wings and leave the comfortable nest of the pristine, hard-packed groomers to venture further, higher and deeper into the backcountry wilderness. Riding powder is amazing, Fact! But although it can be thrilling hitting fresh, fluffy, unblemished powder, it can also be very dangerous. 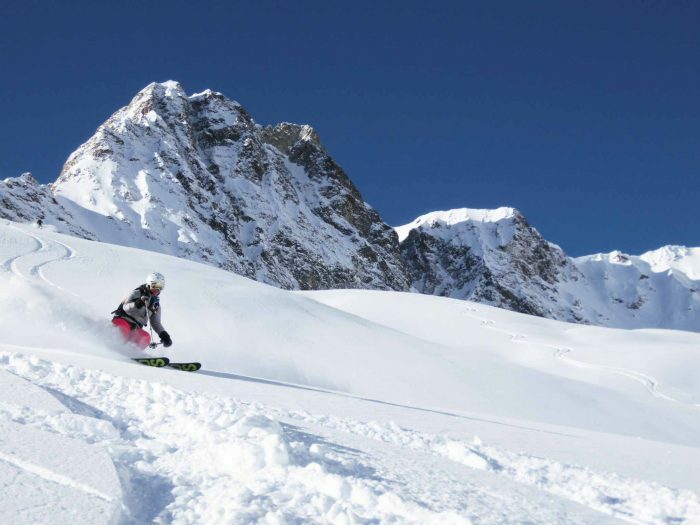 If you are a competent on-piste skier or snowboarder who craves the excitement of a new challenge exploring off-piste and untouched powder this article gives some advice on what you need to know before you go and advice on how to go about it. With good quality training and safety knowledge, you can gain the skills required to access off-piste terrain safely. Why off-piste skiing is so exhilarating and rewarding? Well that’s simple really. Firstly, it’s an exciting challenge. You never really know what you’re going to get when skiing off piste. It is totally unmaintained, and just a relationship between you, the mountain and mother nature. It is a true test of skill, talent, and perhaps courage providing all that indulge with a great sense of adventure! Not is it demanding on your skill set but also on your body, the additional physical challenge of skiing off-piste in gargantuan compared to regular piste skiing, you will really feel it after a day in the backcountry. Secondly, it’s a great way to get away from all the hustle and bustle associated with popular ski resorts. No snaking ski schools you have to negotiate or slaloming your way through the crowds. Instead, uninhabited slopes with just you and nature and perhaps your fellow off-piste companions. With off-piste skiing you’re left to your own devices, albeit in more demanding circumstances. Thirdly, THE VIEWS!!! For some reason a view well earnt just seems better. The incredible undisturbed scenery unique to off-piste terrain is truly spectacular. You should never try to ski off-piste alone. Not only does this compromise you, should you become injured and unable to self rescue, but if the worst should happen and you get buried in an avalanche, you will have no-one available to find you and help dig you out. Unfortunately, this happens frequently with disastrous consequences. Ideally let an independent party know about the details of your planned routes and ETA. So again, if the worst should happen rescue services can be alerted quickly and have some idea on where to start their search. If you don’t know where they go, don’t follow them! Many ski tourers, alpinists, expert Speed riders and even speed riders venture into the off-piste. If you follow a ski tourers tracks without skins, a speed riders tracks without a wing, or follow tracks that lead to a 50m cliff rappel and you do not have a harness or rope to hand you can land yourself in a lot of trouble. Before going off-piste you need to have the right knowledge and skills to interpret snow reports, avalanche bulletins and weather conditions in order to make a safe plan based on aspects/ terrain to avoid and find the best snow conditions. More information about this can be found here. Ensure everyone in the group has all their safety equipment and just as important, knows how to use it! At the very minimum every member of the group should carry a mobile phone, shovel, probe and transceiver carried securely in a backpack. Its best practise to perform a transceiver check before heading out to make sure they are working properly or simply switched on… it easier than you think to forget with the excitement building up for the imminent adventure! For more in depth safety guidelines you really need to know before heading off-piste, check out our Off Piste Safety Awareness article here. What off-piste safety courses can I attend? Practical knowledge and training can make the difference between an epic day on the mountain or a catastrophic one. It is always a good idea to employ the use of a qualified mountain guide, particularly in areas you are not familiar with. A guide also offers the benefit of knowing the best routes with the most ideal snow conditions available. If you head out without a guide be aware that off-piste activities involve you having to perform a great deal of risk management. There is rarely a readily available safety net out there if things go wrong! Only through careful planning and knowing how to ride safely in the mountains can the risk be minimised. You and your fellow rider’s safety depends on it. 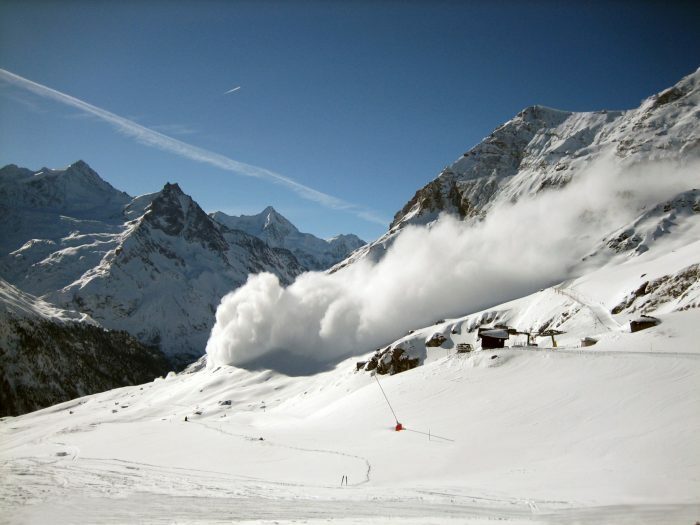 Enroll on an avalanche awareness course such as those by the Avalanche Academy to learn how to safely negotiate off-piste terrain, use your safety equipment (rescue techniques) and evaluate the risk. How do I learn off-piste technique? Well in our opinion there is nothing quite like the benefit of getting professional instruction from the outset to avoid bad habits being acquired early on. However we know that this is not always desired…. Or an affordable way of learning how to ski off-piste. Ideally the best way is to initially get yourself some off-piste lessons with a fully qualified ski instructor. If you can find yourself a group to join this makes lessons a lot more affordable. Also such organisations as the UCPA in France run great value all-inclusive accommodation, food and lesson packages that over such disciplines as off-piste skiing for those on tight budgets. Once you have got some experience it is very easy to consolidate some of the skills you have learnt by playing in various snow conditions on the side of the slopes to gain more confidence. Once you are ready for the ultimate challenge and tackle some backcountry off-piste skiing far from the comfort of the typical ski resorts. However, it is ill advised to tackle these on you own without the professional guidance of a fully trained mountain guide. We know that not everyone has a tidy €350 a day to spare on a mountain guide but if you can collaborate together with a small group of like minded individuals this can dramatically reduce guiding fees. If you are struggling to get a group together why not join a pre-existing group on one of the many off-piste introductory days or off-piste clinics which usually cost ~ €100 for the day run by a fully qualified international mountain guides (usually inclusive of avalanche safety equipment rental).